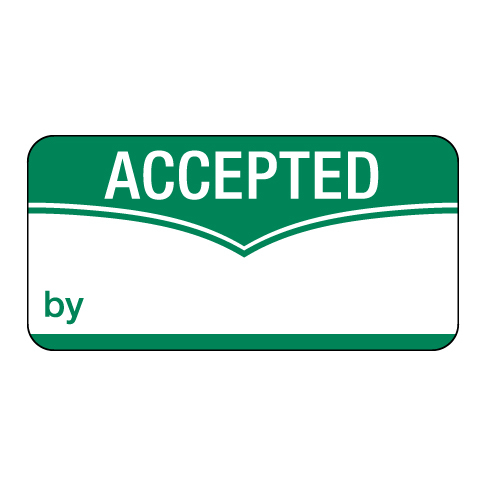 Use an Accepted Label to mark passed inspections, passed quality checks, and more. Fill in a name and a date on the line provided. Easy to use just peel, stick, and write. Can be used on machinery, products, paperwork, etc. Use with our Rejected Labels.